These lotions bars have an all natural base that includes shea butter, cocoa butter and grapeseed oil. Feels outstanding on the skin!! To double boiler or metal pot, add cocoa butter and beeswax. Heat on low until melted. Turn off heat and add shea butter. Let melt naturally. Add grape seed oil, fragrance oil and rosemary oleoresin to measuring cup. When temperature has cooled to around 145°F, fill each tube to 2.30 oz. by weight. Cool completely and then place lids on tubes. To Use: Rub onto dry skin. WARNING: Do not store in hot care or leave out in sun as lotion will soften and melt. Ingredient Label: Cocoa Butter, Beeswax, Shea Butter, Grape Seed Oil, Fragrance, Rosemary Oleoresin Extract. "Would this be good to keep in your purse? How easily does it melt?" Staff Answer These will melt in temperatures of 90°F or above. "Can you substitute the Rosemary Oleoresin Extract and if so what do you suggest?" Staff Answer You can substitute the ROE for Vitamin E which is also an anti-oxidant. "Can I sub in essential oils instead of fragrance oil? If so, how much do you recommend? Thanks!" Staff Answer Since essential oils are a pure, concentrated oil, we recommend adding 1/3 of what the fragrance oil would be. This recipe calls for 1 oz. of fragrance, so you would add .33 oz. of an essential oil. "Is this recipe hard enough to pour into a mold instead of using the push-up tubes?" Staff Answer Yes, you can pour this into a mold instead of a push-up tube.
" how much would i use of candelilla wax to sub for beeswax Thanks!" Staff Answer We have not tested this recipe using Candelilla Wax. Although it is a softer wax compared to beeswax you may want to test it in a small batch with a 1:1 ratio. "Can I use a different oil other than grapeseed?" Staff Answer Yes, you can substitute any other carrier oil for the grape seed oil in this recipe. 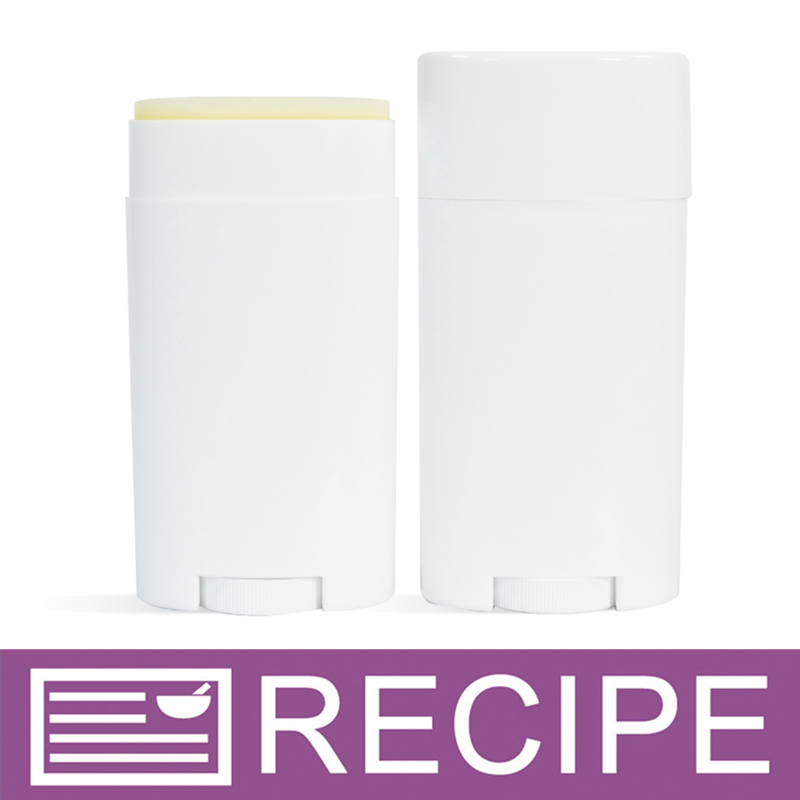 "I've been making this recipe for a few years using ingredients I purchase from you - very recently I've noticed hard little bumps in my most recent batch (and my lip balm as well). Is this due to the wax or temperature at pouring? " Staff Answer It may be that your wax and oils are not completely melted or if you are using Shea butter in your recipes, there could be another reason. Shea butter may feel grainy when melted and re-hardened. To avoid this, heat the Shea butter to 170-185 degrees and keep at a steady temperature for 10 to 15 minutes. Rapidly cool by placing in the refrigerator. "How much would one unit sell for? " "The recipe calls for 2oz of fragrance oil and in the directions #6 says to add 1oz fragrance oil. Just curious if it was 1 or 2 oz? Thanks :D"
Staff Answer The fragrance is listed in the ingredients as 2oz because that is the smallest size we sell it in. However, the recipe only requires 1oz of fragrance so you will have 1oz of fragrance left over. "For this product as listed and made, what is the shelf life without added preservatives?" Staff Answer The shelf life on our recipes is 1 year from the manufacturing date.